Producing more of our seafood in the U.S. means that consumers will have local, safe, sustainable choices, explained Michael Rubino, director of the Washington, D.C.–based Office of Aquaculture at the National Oceanic and Atmospheric Administration Office of Fisheries, when he announced a federally approved plan taking shape in the Gulf of Mexico. The gulf, by volume, is second only to Alaska in terms of U.S. wild-catch fisheries. 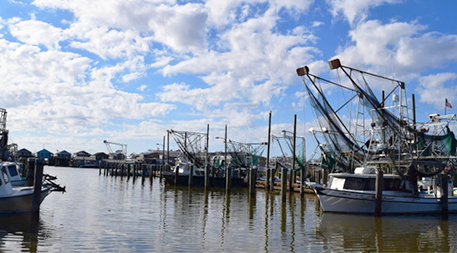 In January 2016, NOAA authorized up to 20 open-ocean aquaculture permits for the gulf. In total, these could produce 29,000 metric tons (32,000 tons) of fish — effectively doubling the amount of finfish currently coming out of the area. (A draft environmental impact statement that would help guide offshore aquaculture development in Hawaii is expected later this year, and public hearings this summer will decide the fate of a proposed finfish farm to be located 8 miles off the coast of Hampton Bays, New York). Can It Really Be Sustainable? Open Blue, the largest open ocean fish farm in the world, located 8 miles off the coast of Panama, is a good place to look when addressing the idea of scale and sustainability. 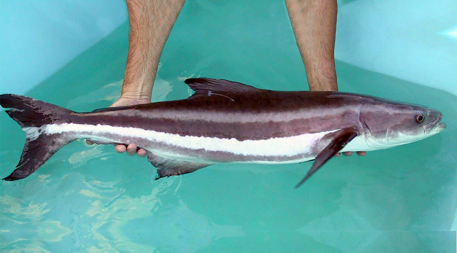 Owner Brian O’Hanlon and his investors chose to stock cobia for three primary reasons: it would avoid direct competition with wild fishing, it would offer versatility to chefs and it would appeal to health-conscious consumers. There are signs that operations like Open Blue can be sustainable. O’Hanlon gave then University of Miami Ph.D. student Aaron Welch, who was studying the environmental impacts of aquaculture, the run of the farm during 2012–13 to collect environmental data as long as he shared it with O’Hanlon. 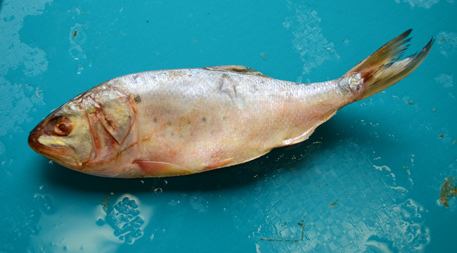 One concern with offshore farms is that concentrated waste from these operations, either in the water or underlying sediment, could adversely impact ecosystems — at worst, resulting in eutrophication or fish mortality. 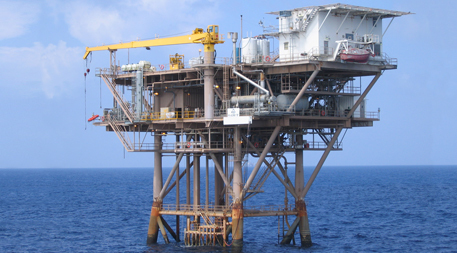 According to Welch, the open-ocean cage operation left no nutrient footprint in the water column, either from dissolved oxygen or nitrogen compounds. He did find a modest uptick of organic carbon and nitrogen compounds in the sediment around the cages. Extrapolating published data to calculate a maximum amount of fish poop [4,000 metric tons (4,400 tons) of nitrogen compounds for each 29,000 metric tons (32,000 tons) of fish produced] from the federally approved Gulf Coast operations would effectively be a drop in the bucket (and, Lutz says, a “worst-case scenario” given the methods used in the paper) compared with what already gets dumped into the gulf from Midwest farm chemicals via the Mississippi River. 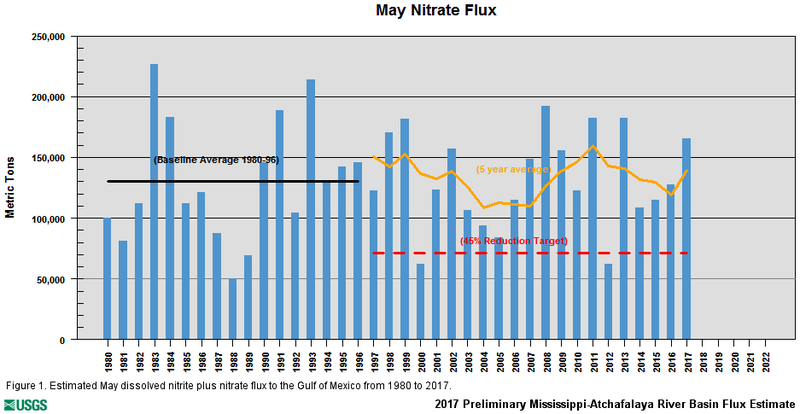 In May 2016, the gulf’s estimated input of nitrites and nitrates was 150,000 metric tons (165,000 tons). Another potential sustainability issue, antibiotic use — overuse can lead to bacteria resistant to antibiotics — has declined. Vaccines have largely supplanted antibiotic use, at least in Europe and the Americas, and antibiotics are more heavily regulated in aquaculture than in any other kind of animal production, says Neil Sims, co-founder of Kampachi Farms, a research facility in Kona, Hawaii, who is planning a commercial offshore operation, located 4 miles (6 kilometers) offshore from Bahia de La Paz, Mexico, to grow a sashimi-grade Almaco jack. He and colleagues have also experimented with untethered open ocean drifter pens and unmanned net-pen operations off the Hawaii coast. He laments the slow pace of the U.S. government actions to streamline the regulatory landscape. One strong argument in favor of ramping up open-ocean aquaculture in the U.S. is that the country imports 90 percent of its seafood, and half of that is farm-raised overseas in operations that can have dubious internal levels of food-safety and environmental oversight. Regional fishermen aren’t just concerned about what goes into the water, though. 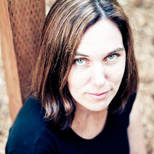 What comes out is raising questions, too. Currently, 20 million tons (18 million metric tons) of wild fish — one-quarter of the world’s commercial catch — is turned into fishmeal. Greater regional demand for fishmeal production, they worry, could leave fewer forage fish for the wild species, given that a sizable chunk of gulf menhaden — a small, oily forage fish — is already turned into fishmeal for aquaculture elsewhere. In May 2015, Empire, Louisiana-based Daybrook Fisheries, the second biggest U.S. processor of menhaden, was sold for US$380 million to Oceana, a South African fishing business that supplies fishmeal around the world. 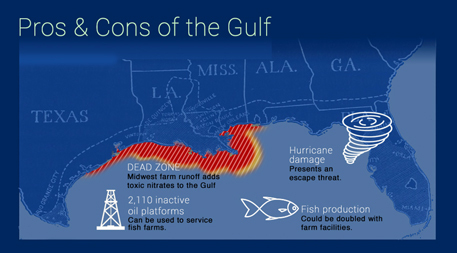 Advocates like Gulf Seafood Institute’s Pearce believe aquaculture will bring economic benefits to coastal communities, at least between southern Louisiana and the Florida panhandle, which are closest to the deep, rapid-moving waters where offshore fish farms would need to be placed. These communities have been hard hit in recent years from human-caused and natural disasters. For example, Hurricane Isaac struck Venice, Louisiana, in 2012, two years after the fishing community was devastated by the Deepwater Horizon oil spill that occurred only 50 miles to the southeast. Catch shares, allotted fish quotas allowed given total catch limits, which can be sold among fishermen, already proved unprofitable for a number of the smaller fishing operations, forcing them out of business. And Venice-based shrimpers, who struggle to compete with massive farmed imports from overseas, offer an example of how farmed seafood affects global markets. Now fin fishermen are nervous about competition, too. “These operations only get efficient with scale; they require a large investment and a viable permit pathway in U.S. waters. That’s why people aren’t running” to apply for permits in the gulf, says Sims. And, he adds, that’s why operations that could have been in the U.S. end up in places like Panama, where Open Blue is located, and others such as Mexico and Costa Rica, where open-ocean aquaculture is already up and running. Offshore aquaculture offers a glimpse of the kind of difficult food-security decisions societies will grapple with going forward — knowingly facing and mitigating the unavoidable consequences of producing the food we eat. “As populations continue to grow, we won’t be fighting over oil and gas, but over freshwater and food,” says Robert Orr, managing director of Cuna del Mar, a private equity fund that invests in sustainable aquaculture companies, including Open Blue. Overall, it is a very good article. With a rapidly evolving technology like offshore aquaculture, it is easy to be "too little, too late" and be in a position where you can never catch up. This has already happened in shrimp aquaculture where 90% of our shrimp consumption is from farms in other countries, even though a lot of the original research and development in shrimp aquaculture was done in the US. Our regulators slowed down the development in the US and we lost all the real jobs that go with the actual production. 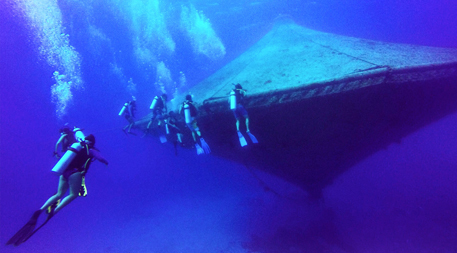 With offshore aquaculture, the regulatory systems are preventing the development in the US and the technology is flowing into other areas of the world. Neil Sims is going into Mexico. My consulting is providing technology to Mexico, Puerto Rico, Chile, etc. Regulatory institutions follow the same institutional goals as all other organizations, including private corporations and that is "growth and survival". All institutions that don't follow those goals, no longer exist. To achieve those goals, each of the 7 government institutions will want to sound nice and cooperative while trying to increase their control and importance (saying Yes and letting offshore aquaculture evolve would provide no benefit to the institution, but adding a "condition" requiring future action for exemptions -- like short leases -- provides future institutional "growth and survival"). The regulatory institutions need for "control" with silly limits on tonnage, limited lease times (10 years) when the IRS requires 15 years depreciation schedules on special built agricultural facilities, etc. will scare away any sane potential investors. Norway's first offshore farm delivered from China this year. One may produce more than 6000 Tonnes. The NOAA's 29,0000 tonnes limits may accommodate 5 Norwaygean's fish farm only!